Former Australian Amateur and Stroke Play champion Matt Jager has gained his Canadian Tour card after finishing in the top 10 at the recent Canadian Tour Q-School. A member of Melville Glades Golf Club and Golf Australia’s Rookie Professional program, Jager opened with a first round 78 but fought back strongly to shoot 78-72-67-72 and finish at 1-over par at Soboba Springs Country Club and Oak Valley Golf Club in California. The score was enough to earn him playing rights on the Canadian Tour, which begins on June 7th at the Times Colonist Island Savings Open in Victoria. 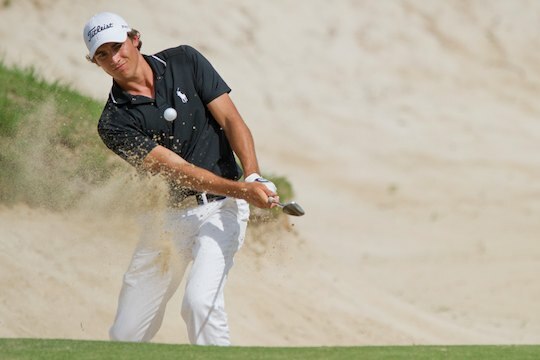 Two-time New Zealand Amateur champion, Jager had an excellent amateur career and became the first player since Lucas Parsons to win the Amateur titles on both sides of the Tasman when he claimed the Australian and New Zealand Amateur titles in 2010. Other notable players to earn exempt cards were Argentine Angel Cabrera Jr – the son of former US Open and Masters champion Angel Cabrera and former PGA Tour player Boyd Summerhays also earned an exempt card.